Jaw contains maxilla and mandible (upper jaw & Lower jaw) which play a vital role in human activities say speaking, yawning, eating and masticating etc., Jaw malformation may be from birth or it develops as the child grows. It might cause eating, chewing, abnormal speech problem and eventually lead to the loss of teeth at an early stage in the children. Malocclusion is due to the problem with a meet in upper and lower teeth. For facial deformities, the best treatment is found to be Maxillofacial Distraction Osteogenesis that solves the skeletal deformities issues. 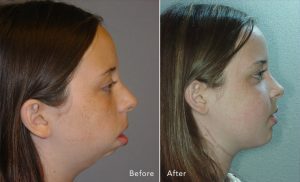 Skeletal Deformities are of various types that result from the jaw deformities or any area on the face. Maxillofacial Distraction Osteogenesis is the best treatment for Jaw Deformity and it creates a new structure in the deformed part. It is a long treatment and basically a bone generating treatment. With the help of this treatment, new bone structures are formed that helps to rebuild the new tissues in bone. This procedure is utilized to treat the long bones in the face. Through corticotomy bone is fractured into two segments. Then the broken bones are joined for giving the right shape for the portion. With this treatment, many people get a new way to live and this procedure contains both pros and cons. It is recommended only for the serious issues.However, there are some disadvantages such as infection which may turn chronic at the time, might stimulate huge discomfort in nerves and tissues. A good surgeon only knows the seriousness, positive result of the surgery and he is the perfect guide to treating people. JP Dentofacial & Implantology Center is a renowned hospital for Dental, Implantology and maxillofacial surgery in Kerala. Dr. Philip Mathew is one of the famous surgeons for Oral & Maxillofacial Surgery. He has been treating many cases of jaw deformity with Jaw distraction surgery successfully.